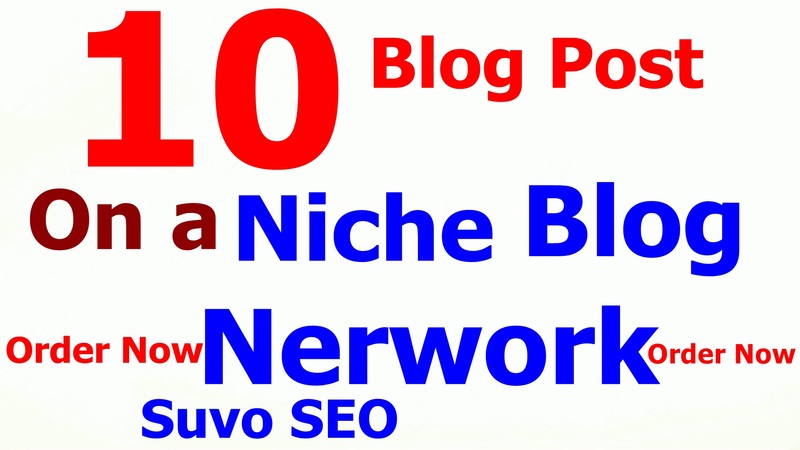 Suvo SEO (level X3) has created a big database of niche blog networks. Each blog in a network is created on a different Web 2.0 platform, eg Wordpress. Blogspot, Yola, etc. (30 platforms total). They have only posts relating to that niche on them. No irrelevant content or backlinks. Each gig is 5 posts. Each niche network is 30 blogs. You can order up to 30 posts, by changing the quantity at the top of this page, so if you want 30 posts you should order 6 gig quantity. The posts your links is placed on may contain other relevant niche links to make it look natural. If these rules are not followed the order will be cancelled. These are networks I have used to rank for very lucrative keywords, and I am not prepared to risk their quality by placing inappropriate links on them. I will create 5 blog posts on a niche blog network is ranked 5 out of 5. Based on 23 user reviews.